For more than a half-century, RD Mathis Company has brought a higher level of expertise, quality, and innovation to meet even the most challenging customer needs. It all starts with quality. We use only the highest quality materials & parts to ensure product precision, durability, and consistency. Our products are made in the USA at our own facility and all raw materials are sourced from proven domestic suppliers. At RD Mathis Company, our technical experience means we have the knowledge to provide innovative solutions for the most challenging designs and specs. 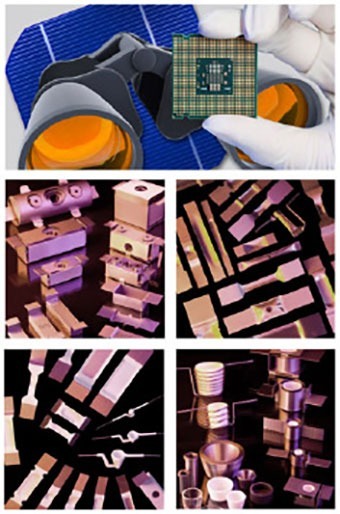 We offer designs & materials that are proven across a broad spectrum of applications. Even tungsten, tantalum and molybdenum are available for custom fabrications. Excellence in customer care is our number one goal and we back it up with full technical support, problem-solving and access to knowledgeable staff every business day. We pride ourselves on short production times, prompt order shipments and a quality assurance commitment for every product. R.D. Mathis Company is committed to provide quality products on time that meet or exceed customer expectations and comply with all requirements. R.D. Mathis Company will ensure success through the adherence to an effective quality management system based on continual improvement and customer satisfaction. The combined company offers the largest selection of evaporation sources & materials in the industry.